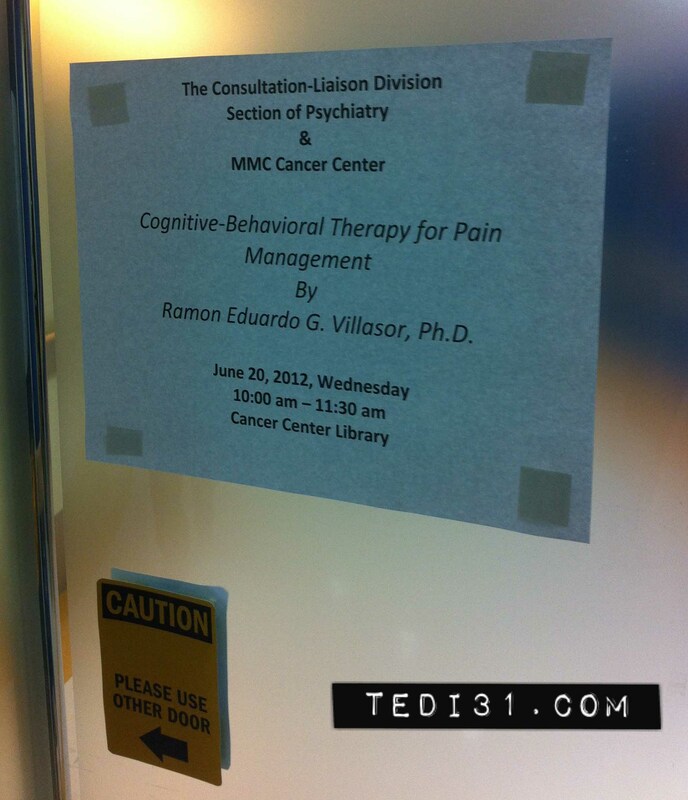 As part of their two-day conference on Pain/Palliative Care, the Makati Medical Center (MMC) Pain Control Clinic has invited me to talk on “The Role of Cognitive-Behavioral Therapy in Pain Management” on July 30, 2013 (12:30 PM to 1:00 PM). 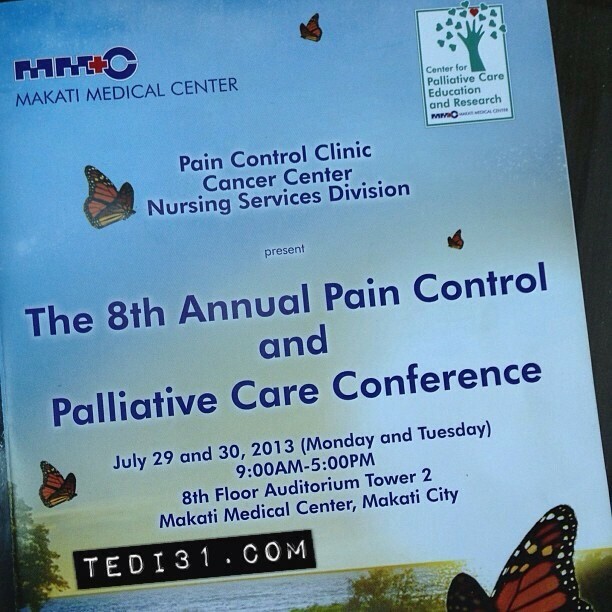 This event will take place at the MMC Auditorium, 8th Floor, Tower II, Makati Medical Center, Makati City. The 6th Annual Pain Symposium 2011 will be held in the 8th Floor Auditorium, Tower II, Makati Medical Center tomorrow (April 12, 2011). 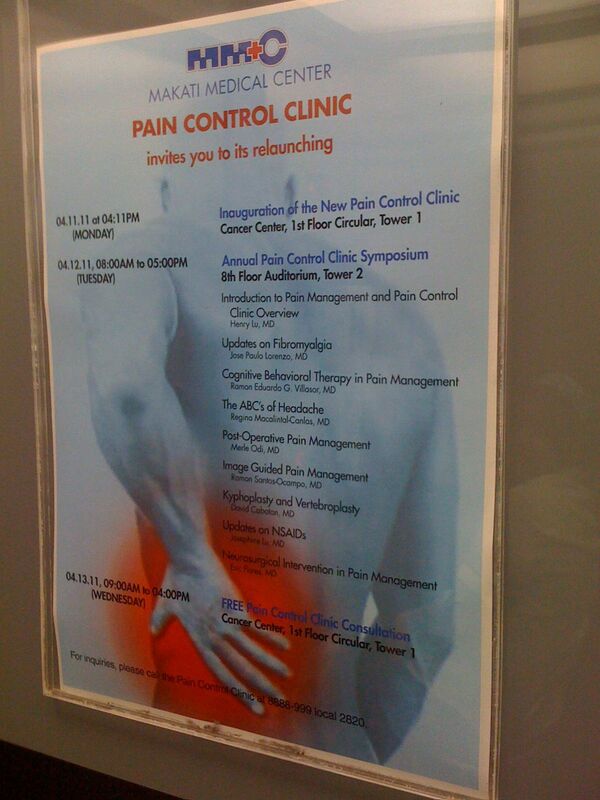 The 6th Annual Pain Symposium, a program sponsored by the relaunched Makati Medical Center (MMC) Pain Control Clinic, will be held tomorrow (April 12, 2011 from 8:00 AM to 5:00 PM) at the 8th floor auditorium, Tower II, Makati Medical Center, Makati City.